Yep. I did. And hunters they shall be. However, my experiences with hunting that define that word for me, connote not one negative word or emotion associated. Learn to live in love and appreciate those that have different lifestyles or opinions than you. Whew. Now that we are over the modern popular social ideology that we need to hate all hunters…. maybe I can get to the point of this article. :) Sorry about that…. So, that picture at the top is of me, and that happens to be my very first rifle – a .243 Savage. I’m pretty proud of it. My husband bought it for me on Black Friday at Bass Pro Shop in San Antonio this past year. I am 23 years old and got my first hunting rifle. That is not so normal for a Texas born and raised individual. 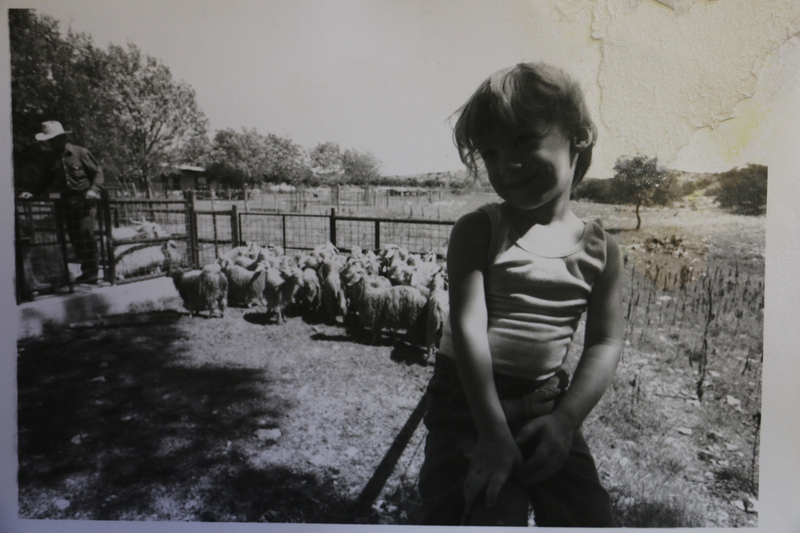 I was raised on a ranch with my family being fourth generation livestock producers. 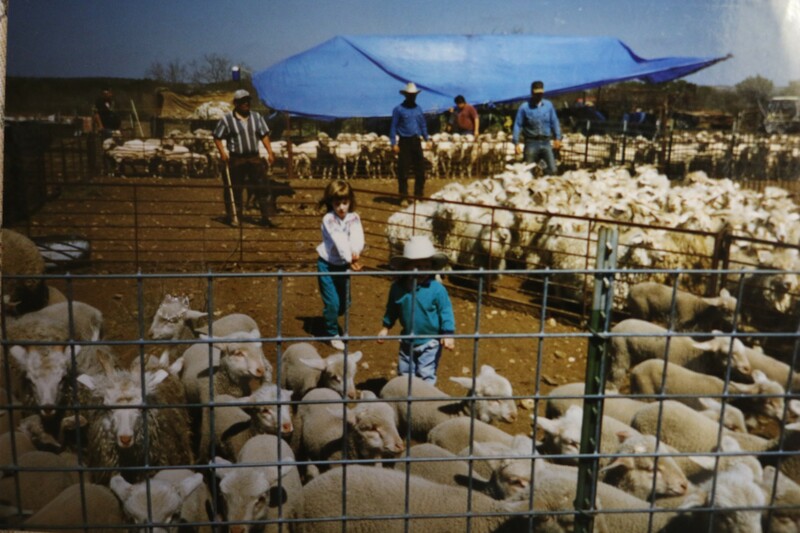 Before I was even the age that I have memories of, there are pictures of me and my siblings helping with all of the sheep, goats, and cattle. Even though I was raised on large tracts of land, meandering the pastures all by myself many times, the most I knew of hunting was that we leased our land to a group of hunters from Houston and they would be in the back pasture during deer season… which I only knew was in winter sometime. 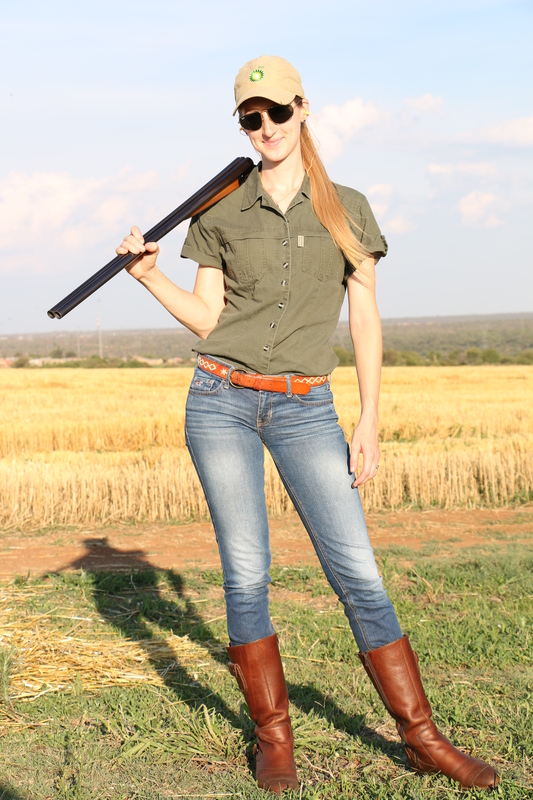 My introduction to hunting was when I met my husband at the age of 18. 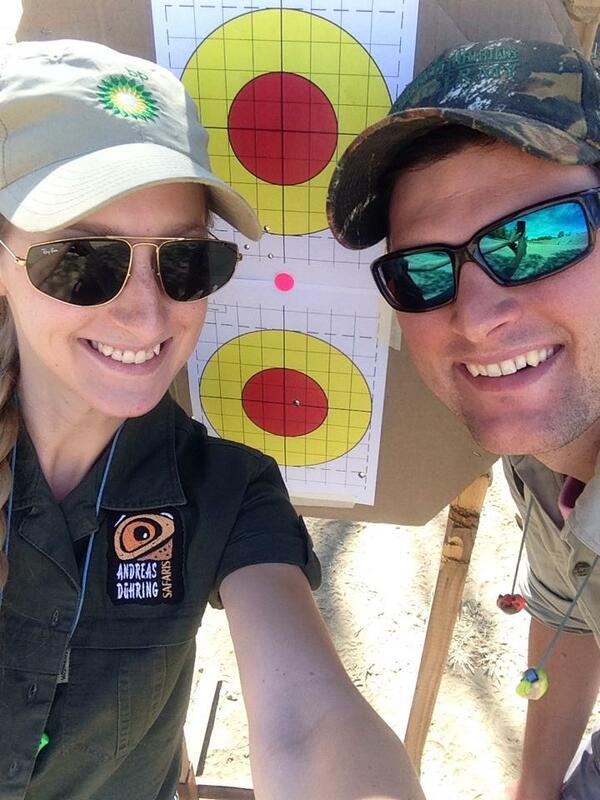 He is from South Africa and is a Professional Hunter and Hunting Outfitter – AKA: He takes people on Safaris. Our first date included (aside from a picnic lunch overlooking a river from a cliff) sitting in a deer blind with a rifle. Yep. True story. Now, at that point in my life, I didn’t even enjoy venison. I was purely a grocery-store-meat-eater kind of girl. 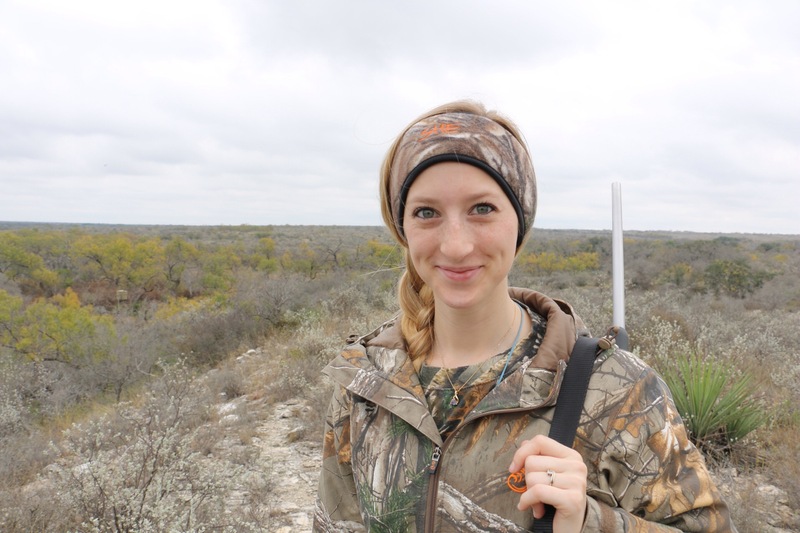 Little did I know then just how much hunting would impact my life in the future, and how passionate I would become about conservation and sustainable eating through hunting. 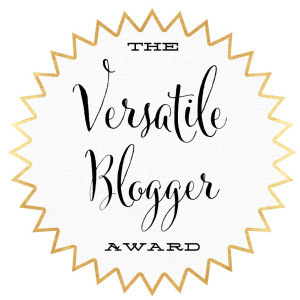 Living in Africa has broadened my palate to the foreign joys of many different (healthy and lean) meat types such as Impala, Bushbuck (my favorite), Ostrich, Kudu, Eland, Springbuck, and even Warthog and Crocodile. 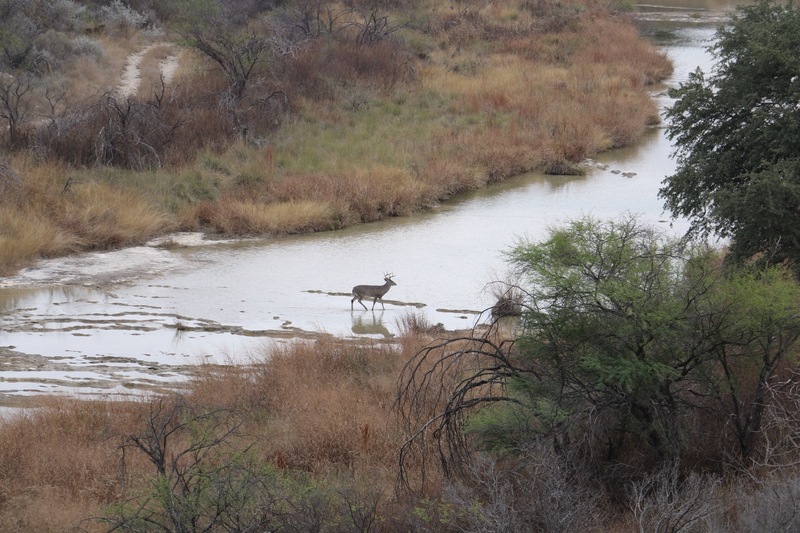 Even though 9 months of my year is spent in South Africa (a hunters’ paradise) and I have been on many safaris, my first hunt was this past November, on a very dear friends’ ranch in Texas. My husband and I spent the whole morning walking throughout the pastures, trying to spot and stalk. The spotting went well, but the stalking not so much. After lunch, we decided to sit in a blind and use the caller to see if a Coyote would come in. I ended up taking my very first animal, a Grey Fox. Later that evening I took my first deer, an Axis doe. As it is for all, this was a very moving experience for me. I cried quite a bit, and asked my husband if we could pray and thank God for her life. It is a cherished memory I won’t ever forget. That one Axis doe made +30 pounds of ground meat, sausage, and fillet mignons. (Axis makes the BEST meatloaf, by the way…) At every meal we ate for the next two months, I was proud of myself and very thankful; much more thankful for my meal than I have ever been buying meat from the grocery store. 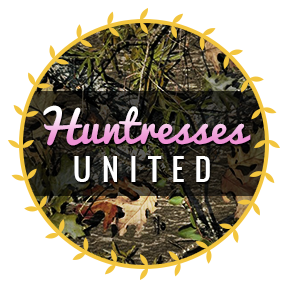 Becoming a huntress further instilled every single one of these values in my life, and I am very excited to one day teach the same to my children. 1. Thankfulness for Food: Please see the Axis doe excerpt above. 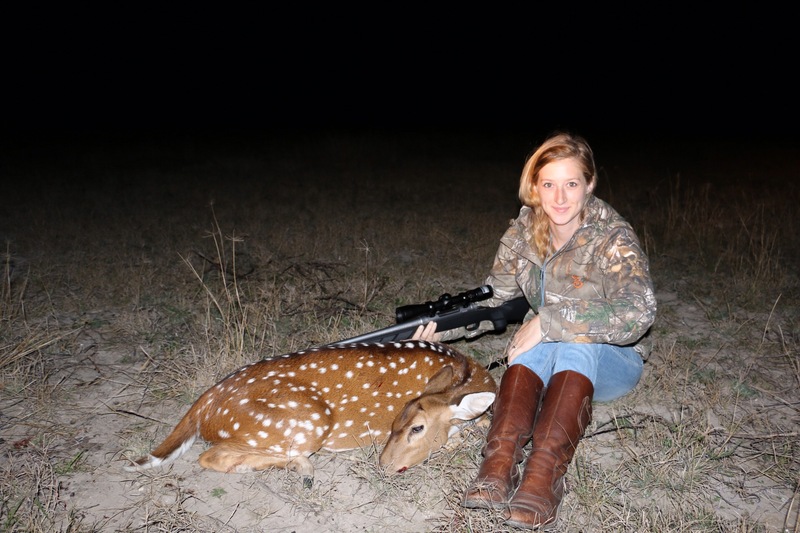 :) Being a hunter provides knowledge of the ethics behind sustainable and humane food sources. As a hunter, you are taught to cherish the life that that animal lived for you, and to hunt humanely by providing the animal with the least amount of pain as possible, and the chance of fair chase. 2. Appreciation for Animals: There are those that may be baffled at how hunting can have any correlation with appreciation for animals, but taking into consideration the thankfulness and understanding that hunters have for their food, as well as looking purely at the economic advantages that hunting brings to wildlife conservation, I think the nay-sayers may be able to develop an understanding of just how hunters do appreciate animals. In short, hunters put their money where their mouths are; They take care of what they love in order to ensure that future generations can love hunting too. (Read articles: Here, Here, Here, and Here.) Not everyone may be able to be a hunter, but every person (who puts aside their naïveté) can understand the benefits that hunting provides. 3. Respect for Elders: Sharing your hunting wisdom and experiences with children is the ultimate (if not easiest) way to earn their respect. Hunting is an intimate experience, and having my father-in-law, as well as other older men and women, share their wisdom with me, has left me with immense respect and appreciation for them. 4. Survival in the Outdoors: Knowing how to stalk an animal without being detected, have a successful and humane kill, skin, quarter, and preserve meat, identify edible and toxic plants, and finding water are the most basic survival skills. Hunting experiences provide that wisdom. 5. Firearm Safety and Knowledge: At the age of 18, I just knew that guns had triggers that made them go bang and had zero experience handling them. This is the most dangerous state of firearm knowledge a person can be in. 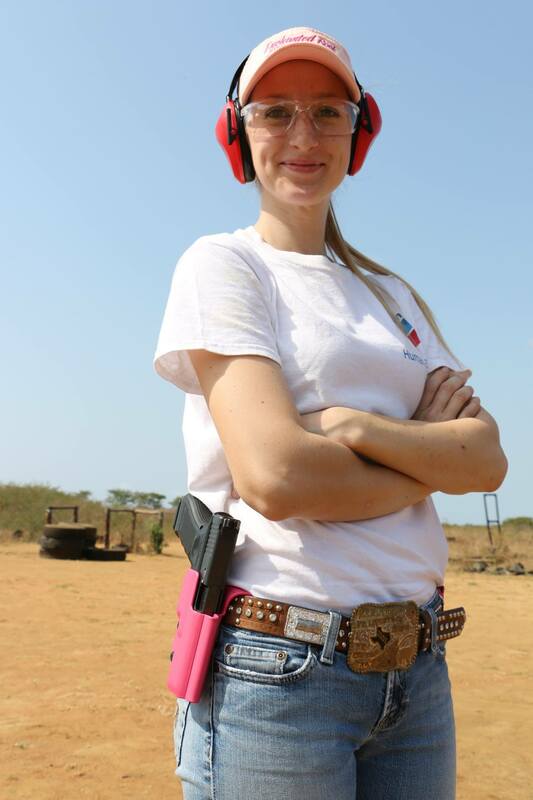 Now, I am an active member of IDPA, and have participated in pistol, 3-gun, and even Big-Bore competitions. 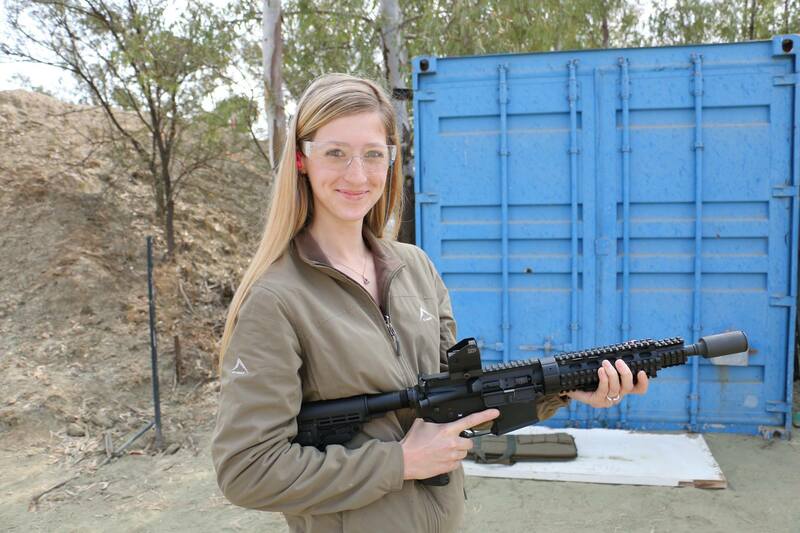 I can confidently say that I am capable in many different firearm disciplines. Having the ability to pick up almost any firearm and know how to use it safely, capably, and defensively, is very important. 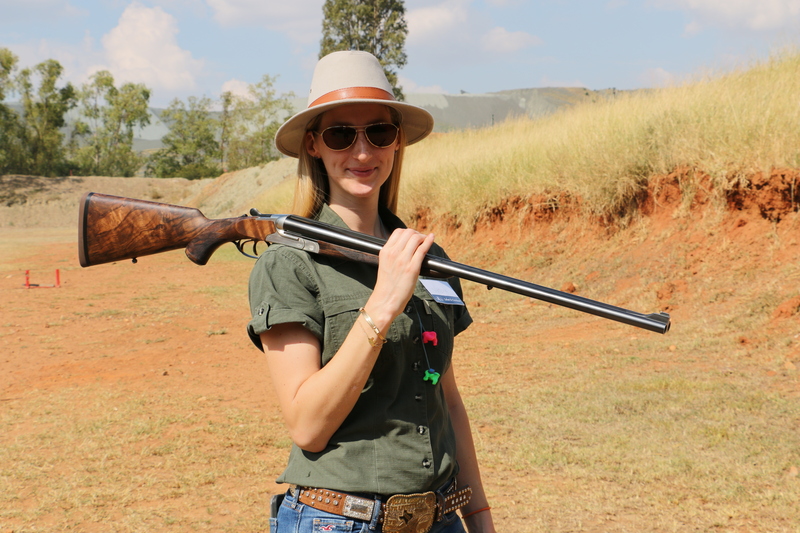 You can always hope you never have to use a firearm defensively, but should the need arise, focusing your concentration on the situation at hand, instead on ‘how does this gun work’, is the difference between becoming a victim (or being mauled by a Cape Buffalo/Lion/Leopard), or not. My children will know how to safely handle a firearm. I could continue the list to include many more of the hunting benefits I would like for my children to inherit, but a person can only read so much in one sitting… In conclusion, I stand firmly by my newfound hunting heritage and look forward to passing this cherished knowledge on to my future children. I am extremely thankful for all those that have helped to teach me about shooting, hunting, wildlife conservation, and the general outdoors. 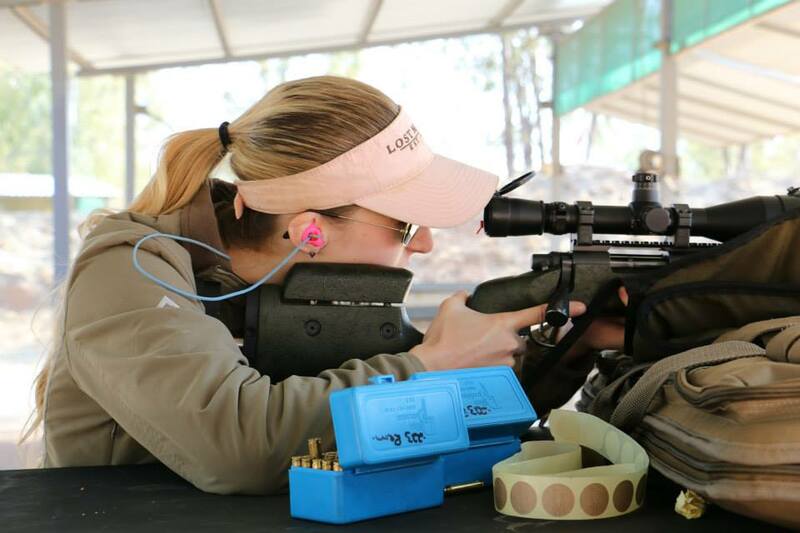 I will continue to be an active outdoors-woman and avid huntress, working to broaden my knowledge, understanding, and capabilities through each experience. Have you taken your children hunting? If so, what have they learned through their experiences? Next ›Hello, Hallo, Здравствуйте, Bonjour! I must say that I agree wholeheartedly with the appreciation aspect re hunting. Hello! Firstly, thank you so much for your comment. It is always nice to get some feedback! I really enjoyed your manuscript as it could easily be recognized that your thoughts originated from your heart.Not only was your piece factually driven it was well written.Look forward to see more of your real life writing in the future.And to think that I may have played a small role in your new life style makes it only that much more rewarding. Very well said, young lady. I know your Mom is very proud! I have hunted for many years, although not in Texas. Yet. Looking forward to taking an Axis. Best of luck. Thank you, Melanie! Axis meatloaf IS the best! Really enjoyed this article. I too came to shooting and hunting later in life (very later!) so not one of the seemingly large majority who grew up doing it. Done mainly pheasant hunting so far but looking forward to hunting deer, rabbits and foxes too for farmers. 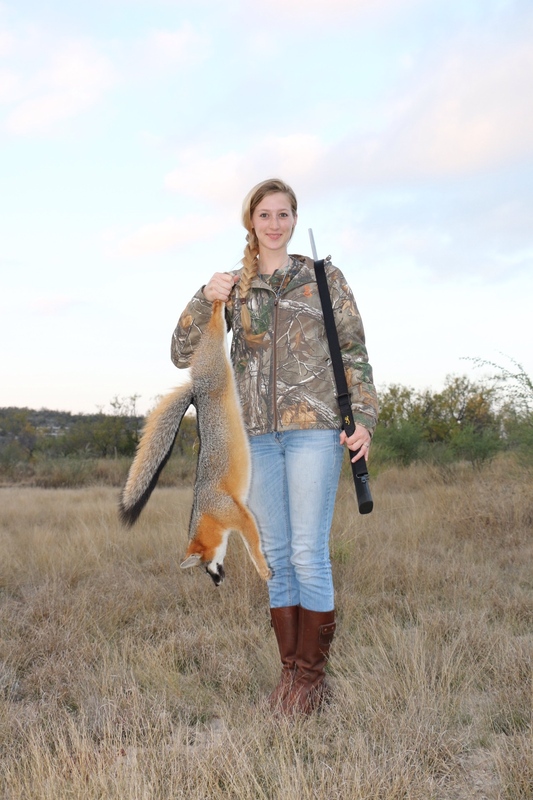 That looks a beautiful fox you are holding – hope you kept the pelt ! Good hunting luck for the future. Paul.